This past weekend I had the chance to participate (along with several other DT bloggers) in the College Theology Society’s (CTS) annual meeting on the theme, God has begun a Great Work in Us: The Embodiment of Love in Contemporary Consecrated Life and Ecclesial Movements. The role of organized responses to God’s love is an important topic for the life of the church today. My experience as a theologian and leader in several international “ecclesial movements” is often that the whole concept of “movements” can be difficult to grasp in individualistic societies. 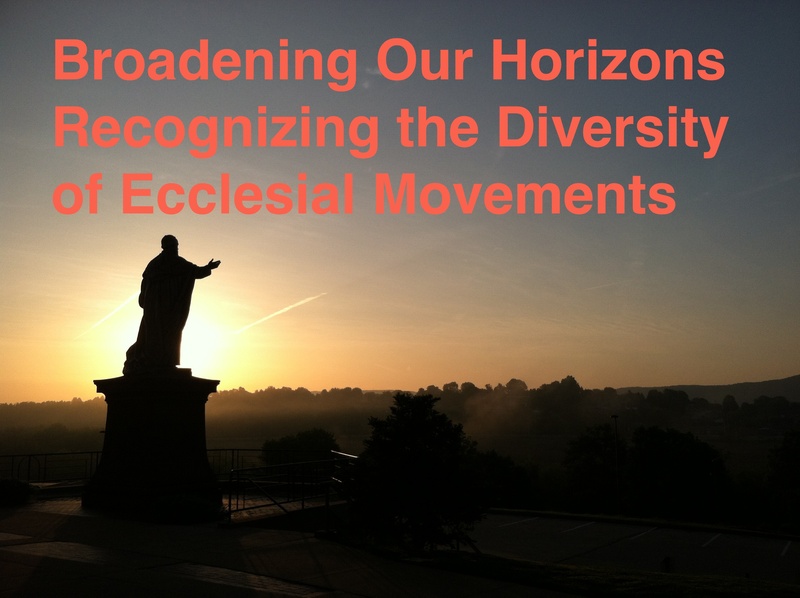 What do we mean by ecclesial movements? What are the challenges and issues posed by groups that connect people across parochial, diocesan and national boundaries? In its broadest sense, ecclesial movements are collective responses to God’s love by individuals and/or groups that extend beyond the local level and participate in the ecclesial mission and communion. This very broad and inclusive definition could include many different types of collectives from religious congregations to a national society of theologians. At the international level, the Roman Catholic church recognizes ecclesial movements in several ways. The Pontifical Congregation for Institutes of Consecrated Life (founded in 1586!) is responsible for the movements of vowed religious (societies of apostolic life, religious institutes, secular institutes, etc.). International federations of national Catholic groups represent one major type of ecclesial. These are generally quite large in their global presence. The International Federation of Catholic Universities, for instance, would be the international umbrella of Catholic institutions of higher learning. The Association of Catholic Colleges and Universities is affiliated to this group. Similarly, the World Union of Catholic Women’s Organizations federates more than 100 national associations of Catholic women in more than 60 countries. Other federations bring together national associations of doctors, associations of the blind, Catholic girl scout groups, etc. A second set of ecclesial movements include the 10 movements “specialized Catholic action.” These groups are in the tradition of the Young Christian Workers (no relation to Dorothy Day’s group), with the inductive social action method of the see-judge-act. They include movements for adult workers (WMCW); farming youth (MIJARC); adult farmers (FIMARC); children (MIDADE); students (IYCS, IMCS-Pax Romana); intellectuals (ICMICA-Pax Romana) and the middle class (JICI, MIAMSI). These groups were influential in the establishment development of the theology of the laity at Vatican II and liberation theology. While no longer as strong as they once were in Europe, these movements continue to thrive in Latin America, Africa and Asia. The International Young Catholic Students, for instance, gathers millions of young people together in 90 affiliated movements in 104 countries. Stefan Gigacz has compiled strong information online on the history and spirituality of these groups. Robert McClory at NCR has recently called for the renewal of these model movements in the US (though even he does seem to know these movements are still active in the world). The list of 122 movements also includes a few groups that seek to live out the spirituality of traditional religious orders, such as the Christian Life Community, closely linked to the Jesuits, the Salesian Youth Movement, and the Marianist Lay Communities. 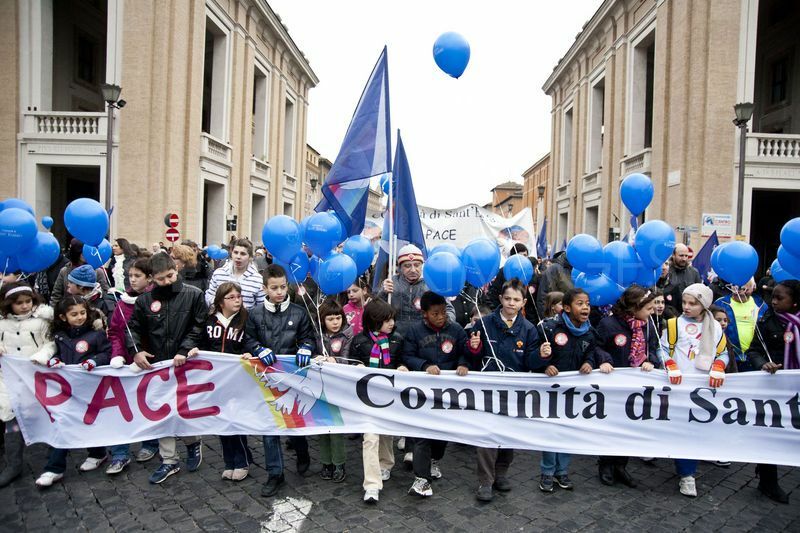 A fourth category includes the set of movements often called “new ecclesial movements.” These include movements such as Focolare, Sant’Egidio as well as a number of smaller groups. Many of these groups have structures resembling congregations of vowed religious, with consecrated lay brothers and sisters. Some communities, such as Emmanuel Community and Focolare have special categories for ordained members. The role of these movements has been critically examined, albeit from two different perspectives, by Brendan Leahy and Massimo Faggioli. (Stay tuned for Faggioli’s upcoming book on the topic of movements next year with Liturgical Press). For many church leaders and theologians, the focus when employing the term ecclesial movement has generally referred to the phenomenon of the so-called “new” ecclesial movements. The term “new ecclesial movement” arose in Vatican circles during the pontificate of John Paul II to designate the small grouping of movements that were perceived as able to fight off the forces of secularism and relativism. Much like the phrase “new evangelization,” the designation “new” ecclesial movement was a not so subtle judgment on the part of some church officials on the “old” lay movements and religious congregations who were seen as going too far in their reception of Vatican II’s teaching on social action, Christian identity, and dialogue. Until 2007, the groups in these first two categories were recognized as “International Catholic Organizations” (ICOs) by a special decree issued by Paul VI in 1971. While they are only 41 (33%) of the 122 associations recognized by the laity council, the ICOs make up 23 of the 36 (63.8%) of those associations present in more than 50 countries. Unlike many of the new ecclesial movements, the federated structures and the specialized Catholic action movements generally work within the structures of the local church. To give the impression that ecclesial movements consist only of the “new ecclesial movements” would be akin to describing the reality of US women religious by only speaking of the Sisters of Life or Nashville Dominicans. They are indeed important parts of the story, but they are not the totality of the experience. A clearer sense of the different instruments in the symphony of the church—to draw from language used by Pope Benedict XVI—is absolutely necessary if we are to work toward dialogue, common ground, and a shared sense of mission in the global church today. Current proposals to create a Pontifical Congregation for the Faithful (or all people of God) as part of the Vatican reform process could go a long way to share and strengthen the experiences of all ecclesial movements new or old, lay or religious. This is a great overview – thanks. Into what category would you put, eg, the St Vincent de Paul Society? which as I understand it is a single society with a distinct spirituality and charism into which local parish-level groups are (intended to be) formed and incorporated. Do you think there are cultural commonalities or connections between the RC “new ecclesial movements” and the broader “Emergent Christianity” movements? For example, the “New Monasticism” and other strands that are mining earlier church practices to recover spiritual and liturgical practices that had been mostly lost from the Protestant churches: is that an impulse to ressourcement shared by the RC movements that want to mine the pre-Vatican II church? The international confederation of St. Vincent de Paul societies was also recognized as an international Catholic Organization http://en.ssvpglobal.org/ – While, as a federation, it fits the first category, I would largely put it into the third – as it is a movement closely associated with the Charism of the Vincention congregation (Congregation of the Mission). SSVdP is part of the “Vincention Family” along with several communities of women religious. The cultural connections with the New Monasticism, I believe, are clear for the new ecclesial movements. While there are differences (the new Catholic movements are often very Roman and Marian and come from the reality of Spanish, Italian, or French Catholicism), both the new movements in Catholicism and the new monasticism are offering creative communal responses to the reality of post-modernity. In many respects, the new ecclesial movements (category D) resemble these groups in form more than the movements of specialized Catholic action. However, I would say that in substance, the social justice concerns of the new monasticism resembles the specialized Catholic action groups who are deeply concerns with peace action, justice, creation etc. And of course there are clear connections with the movements of vowed religious in the old monasticism. I’d invite people to take a look at the webisite of MIJARC, a movement of specialized Catholic action for young farmers or JOCI for young workers, to see really creative response – http://mijarc.org/ – http://www.joci.org/ (and to show that these groups are far from dead). Thanks for your reply! I’d never heard of most of these movements. Do you think that is an ecclesial failure of communication or invitation or something like that? Also, I’m curious about these programs for “young” farmers/workers/so forth: what happens when they age out? Do they tend to age out, or do they tend to move on before they hit the age limit?